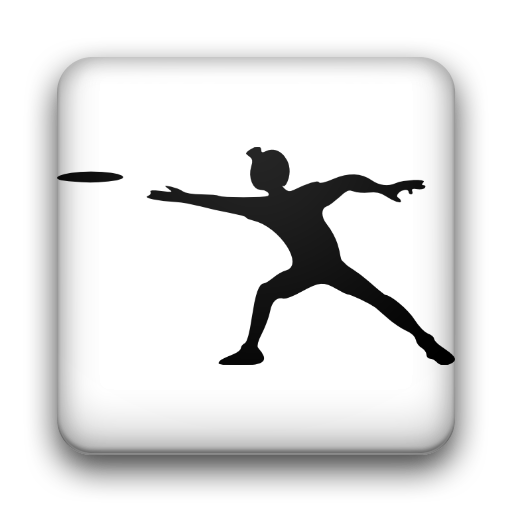 The UF Team Picker was designed for Ultimate Frisbee games (or Ultimate games, since "Frisbee" is trademarked). The app is able to fairly consistently pick a given number of teams with players fairly/evenly distributed, based on 7 different player skills. You can add, edit, and delete players quickly and easily. Players can be set as "active" or "inactive," which means you don't have to continually re-enter players when someone drops out for a while. It's really quick and easy to select who is there (or who is not there; there's an option for if you want to have everyone "present" by default or "absent" by default), too. Pairings and splits make it easy to make sure certain players don't play together (e.g., maybe they're the two tallest players by 6" or something like that). Other options like gender distribution or skill weighting can help customize the algorithms to your particular group's needs. No known bugs at this time. If you have encountered one, please e-mail me and I will try to fix it! Please include what android version you're running, as that is a major factor in bugs when supporting lots of android versions. If you have features suggestions or requests, please let me know; I have implemented several features based on the request of users. If you really want to make an impression, you can donate money to me. I don't drink beer, so think of it as ... buying me another bag of coffee. :) Thank you! User selected number of teams. Balances teams using 7 different player skills. 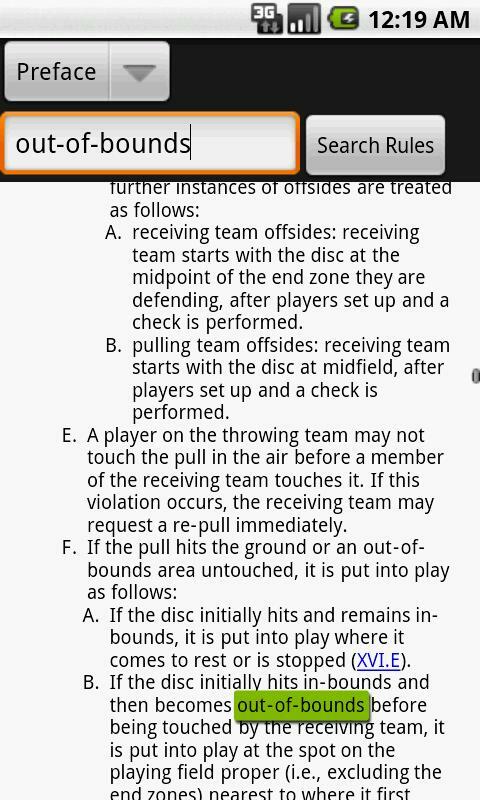 Ability to force certain players to be with or not be with other players. Optional multi-run algorithm, choosing best team set after running algorithms multiple times with some randomization injected. Optional player splits or pairs. Works on most android platforms (1.6 through 3.2!) and is tablet ready. Send and load (e.g., from an e-mail or Dropbox) player database. A one-screen edit mode for all players; e.g., quickly view and edit all players' Throwing skill values. Multiple algorithms to choose from, or go with the default "try all, choose best result"
Can choose to randomize the teams somewhat, making them not as balanced/even as possible, but perhaps more fun for multiple games. ... did I mention it was free with no ads? None at this time, please e-mail me if you have an idea for one. A simple copy of the official USA Ultimate 11th Edition Rules featuring full textual search (3 character minimum) and bookmarked sections. No known bugs at this time. If you have encountered one, please e-mail me and I will try to fix it! Please include what android version you're running, as that is a major factor in bugs when supporting lots of android versions. Thank you! Full text search (3 character minimum). Bookmarked sections for quick access to specific sections. Very small application footprint: only 40kb!